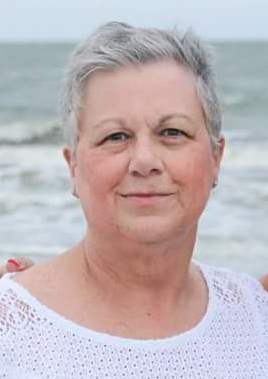 M. Theresa Brafford, 61, of Covington, passed away Tuesday August 14, 2018 at her residence. She was a retired registered nurse with St. Joseph Orphanage in Cincinnati and a member of St. Augustine Church. Theresa enjoyed scrapbooking, walking nature trails and spending quality time with her granddaughter Savannah. She was preceded in death by her parents, George and Joyce Vogt Brafford. Survivors include sons, Brian (Shana) Deaton and Nicholas (Gabrielle) Deaton; brother, David (Jennifer) Redman; sisters, Joyce Ann Robinson, Cathy (Joe) Bell and Tina (Bill) Boyers; granddaughter, Savannah; and many nieces and nephews. Visitation is Thursday, August 16, 2018 from 5:00 p.m. to 8:00 p.m. at Middendorf-Bullock Funeral Home, Covington. Mass of Christian Burial is Friday, August 17, 2018 at 10:00 a.m. at St. Augustine Church Covington. Interment at Mother of God Cemetery, Fort Wright. Memorials are suggested to St. Jude Children’s Research Hospital, 501 St. Jude Place Memphis, TN 38105-9959.